A photo of several abandoned trucks at an abandoned work site came across my newsfeed and became the basis for this piece on car guy lingo. 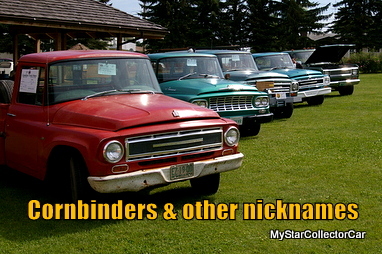 The photographer called the entire truck collection “Corn-binders”; a term only associated with International Harvester trucks-except his photo contained considerably more General Motors trucks than IH trucks. The newsfeed is directed more towards photography than vintage trucks, but it was a bit jarring for me because of its blanket assessment of the old iron in the photo. 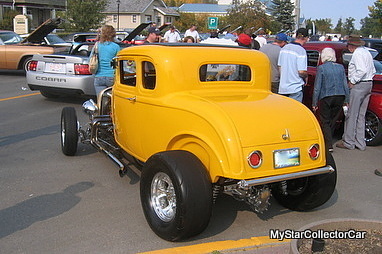 “Deuce coupe” is a nickname given to a 1932 Ford coupe and popularized by the iconic Beach Boys song, ‘Little Deuce Coupe’. The two-seaters from Ford made a perfect base model for a hot rod project and the car has become one of the legends in the hobby. 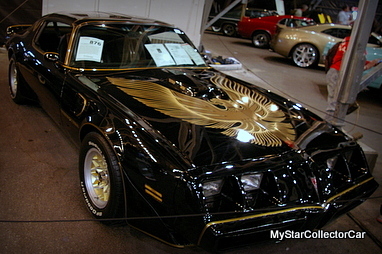 “Screaming chicken” is a Pontiac Trans Am with the fierce eagle decal on the hood. 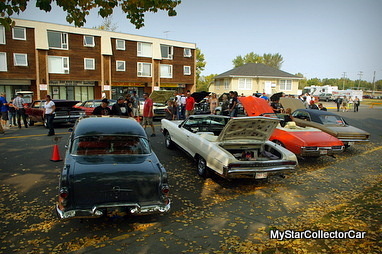 The cars were equipped with the baddest Poncho engine options available in the pre/post-emission era of the muscle car market and looked very cool even after the drop in horsepower. Incidentally, “Poncho” is a name given to any Pontiac model. The name is a shortened version of Pontiac and has become synonymous with the famous General Motors brand no longer in production. “Mopar” is anything from the Chrysler family and the name extends from the early days of Chrysler Motor Parts Division, a parts supply wing for them. 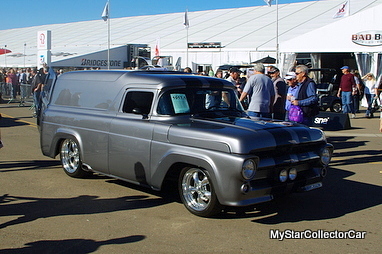 The name was shortened to Mopar and became a familiar name for Chrysler parts in this context. 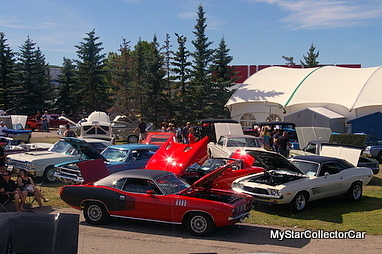 Eventually Mopar became directly associated with Chrysler vehicles. 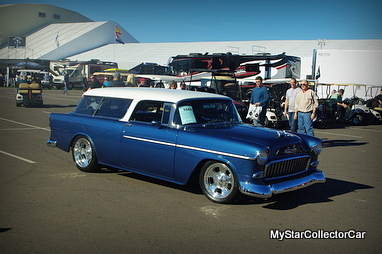 “Nomad” is most commonly associated with the 1955-57 Chevy two-door station wagon. 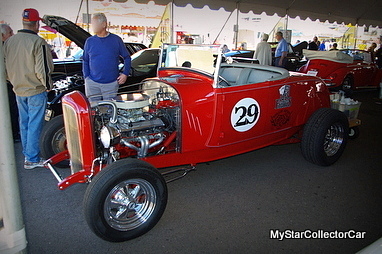 The Nomad model became the base platform for many hot-rodders who made the car a legend on the street and track when they put extra muscle under the hood. “High/Hi-boy” is an early 30s era hot rod stripped down to its metal underwear to lose weight and left sitting on its frame rails. The result is a taller appearance because the body has not been lowered for a sleeker low-to-the-ground stance. 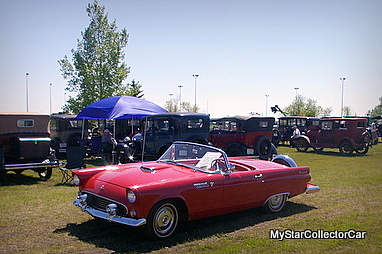 “Thunder chicken” is a name given to the famous Thunderbird model from Ford. The name is another play on the avian theme, like the Trans Am. 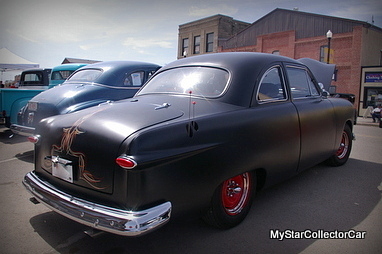 “Shoe box” is most commonly associated with the late 40s/early 50s Ford. The 1949 Ford was the first new design for Ford after World War II because they had to re-tool their factories from the war effort. The car had sleeker sides than its predecessors and marked a new age for automotive world at the time. “Panel” is a term for a light truck or car with an enclosed area behind the driver compartment right to the rear bumper that typically has no side windows from the factory. The panel was typically used as a commercial vehicle for delivery or trades. There you have it, a brief glossary of car guy terms to help you understand some of the lingo at the upcoming car show season.